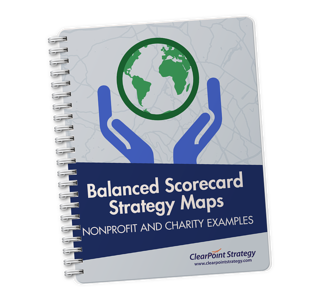 Creating a Balanced Scorecard for your nonprofit can seem daunting. We’re here to break it down for you, step-by-step. Five sample balanced scorecard strategy maps, from homeless shelters to environmental groups. How each of these unique nonprofits and charities are experiencing success from their strategy map in different ways. What conclusions you can draw from strategy mapping (and why you should think about creating your own). Download these sample nonprofit strategy maps and make one your own.